Chicken eggs come in all shapes and sizes with no single one identical to another. There are also a huge range of factors that can influence the quality of a chicken egg. In this post, we look at issues that affect the quality of the external, shell condition along with the internal, edible portion of chicken eggs. The following information is based on our, monthly “Eggucational” presentations This presentation was done on 27 November 2016. The presentation focused on the many, common issues that affect the quality of chicken eggs and consequently, your enjoyment of them. I have included a shortened, edited video of the presentation at the end of this post. Basically, chicken eggs are comprised of three main structures with a number of sub-structures that support them. The outer, hard shell is made of calcium carbonate and is porous to allow air and moisture to pass through it. On the inside, is the egg white or albumen which supports the yolk. There is a range of different egg shell problems that you can find with your chicken’s eggs. Luckily, most are purely aesthetic and don’t often mean that the internal quality will be poor. The most common egg shell “problem” in backyard chicken eggs is colour variation. Hens in a more free-range environment will tend to have much whiter egg shells and greater variation in yolk colour. One of the perceived benefits of “factory”, cage and barn systems is the environmentally controlled enclosures which enable greater uniformity in shell and yolk colour. The reason for this is that free range hens have to cope with a range of different extremes at various times in their lives. Extremes in temperature, stress from a visiting fox and the extra exertion from running about the backyard or out in the open. No such problem for fully-enclosed hens who have no predators, an optimum 21-degree shed to live in and minimal exercise. Here are just some of the likely colour variations you will find with free range chicken eggs! The second most common eggshell problem is rough or deformed eggs. These are all the result of something interrupting or affecting the production of the egg in the 80cm long Oviduct where the egg is constructed. As the egg is built over the 25 hours needed to complete the five different sections of the Oviduct (Infundibulum, Magnum, Isthmus, Uterus, and Cloaca), a lot can go wrong. The egg’s shell construction, which happens in the Uterus or Shell Gland, takes a whopping 20 of the 25-hour egg production process! It’s no wonder that we see such variation in shell colour and condition when the shell takes so long to build. An infection and consequent inflammation of a hen’s oviduct can sometimes cause what’s termed a “Lash” egg which is not really an egg at all. Technically called Salpingitis, the Lash egg is certainly not for eating as it is comprised of pus, tissue and pieces of egg matter. Fortunately, Salpingitis is fairly rare and something I have only seen once in my five years of egg farming. Here are some examples of eggs that have encountered different issues as they have traveled through the oviduct. The result is a range of different shell abnormalities, most of which don’t require discarding the egg. No calcium has been laid around the yolk and albumen to form the hard shell. A pointy or elongated shape to the egg. Extra calcium deposited on areas of the eggshell. There are a two main issues that may affect your enjoyment of eating chicken eggs. One is the egg white quality and the other the colour of the egg yolk. Fortunately, preference for a particular egg yolk colour is purely in the eye of the beholder! In Australia we tend to prefer a darker, orange yolk colour than North Americans who prefer a more pale, yellow colour to their yolks. A lot of people believe that chicken eggs with rich, golden yolks are healthier or from a free range hens. However, there is no relationship between yolk colour and an egg’s nutritional value, and as I have already explained, there are greater shell and yolk colour variations in free range chicken eggs. The factory farm’s secret weapon! When large cage farms came on to the scene back in the 50’s and 60’s, the highly efficient egg production system had one problem – their yolk colours! Without the access to green pasture rich in natural pigments called carotenoids, cage hens weren’t able to lay our preferred, chicken eggs with golden yolks. Cage farmers started to add forms of natural carotenoids such as marigold and red capsicum into their feed. This enabled them to darken the yolk colour, but it cost more. So, clever chemists came up with a synthetic equivalent of these natural yolk colouring carotenoids at a lower cost. Nowadays, cage, barn and free range egg farmers along with chicken feed companies mostly use the synthetic pigments in their feed to colour the yolks of chicken eggs. They are able to choose the yolk colour that they want on a scale ranging between 1 and 15. Egg white or albumen, can have a number of quality issues which affect our enjoyment when both eating and cooking our chicken’s eggs. The egg Industry’s albumen quality measure is the Haugh scale. It measures the combination of albumen height and egg weight to determine the relative thickness of the white. The thicker the egg white, the higher the Haugh unit score and hence the quality. The most common albumen issue is a runny or milky egg white that quickly separates from the yolk. Not only does the white spread further on a hot plate when cooking but it can literally dissolve in a cloud of white when poaching. There is a wide range of factors that affect chicken egg quality but some play a larger role than others. Some causes have no easy solution while others can be corrected by paying attention to factors that are controllable. One of the most important pieces of the high-quality chicken egg puzzle is the breed of hen. Commercial, hybrid hens such as the ISA, Hy-Line and Lohmann Brown layers, have been bred over many decades to lay high-quality eggs. Careful selection and breeding of only the hens that have produced large eggs with thick albumen, plump yolks and hard shells. The huge investment in the breeding of hybrid hens has not been the case for purebred hens that are bred more for appearance than egg quality. This is why there are a few, large suppliers of hybrid hens but numerous, small, purebred hen breeders. The purebred’s are often of a larger size, eat a lot and go into a non-egg laying moult during the Winter. Their eggs can vary a lot in quality, colour and quantity which aren’t traits egg farmers or consumers want. What hens eat is also of crucial importance and something often missed by back yarders that may be more familiar with owning purebred hens that aren’t overly fussy. Nutrition is of far more importance for hybrid hens that are expected to lay a high-quality egg every day in their first laying season. This high-quality production simply isn’t possible unless the hybrid is fed a high-grade diet devised specifically for their refined layer genetics. As your hen ages, she will need some changes to her diet in order to keep her laying good quality eggs and maintain good health. 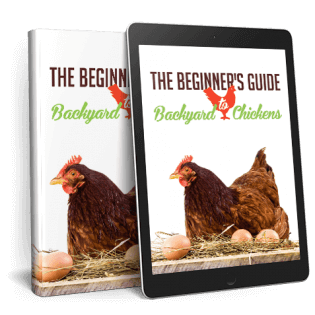 How you feed a young hen before she starts to lay eggs at around five months of age, sets her up for her entire laying life so is of particular importance. The Medullary bone is a type of bone formation that doesn’t exist in hens until just before the point of lay (POL). It is unique to egg laying birds, crocodilians and (in the past), dinosaurs and is a repository for calcium which is used for chicken eggshell formation. Too much calcium for young pullets not yet at POL and your hens may suffer from organ damage through the accumulation of calcium that they can’t deal with yet. Once laying, the hens normally lay very small eggs with a thick layer of calcium for the shell due to their store of calcium in their medullary bone. Young hens also have an immature oviduct and need to establish their regular laying cycle which takes a little practice. This is why young hens can often lay a double yolk egg where two yolks have been released close together and are then both enclosed in the one shell. Older hens, on the other hand, lay larger chicken eggs but their ability to produce calcium and pigment don’t increase at the same rate. This means that the eggshell hardness along with the egg colour are affected negatively as they age. Older hens, and in-fact all laying hens, benefit from a coarser diet which is much better for their gut development, health and consequently, egg quality. This means that pellets, so often recommended by pet stores, aren’t such a good option. Larger particle size helps slow down the passage of the feed through the bird so that more nutrients are absorbed. As hens age they need more grit in their diet and less powder so it can be a good idea to provide “free choice” limestone grit in a separate container to their feed. This not-only improves their gut performance but will help them to lay stronger egg shells. There are a number of diseases that can negatively affect the quality of your chicken eggs. The most common egg problems as a result of disease are pale egg yolks, runny egg whites and rough eggs issues. Infectious Bronchitis (IB), Infectious Laryngotracheitis (ILT), and Newcastle Disease (NDV), are normally all vaccinated against by egg farmers and pullet growers. These diseases can not only cause death to chickens but often result in lowered egg production and the above-mentioned egg quality problems. It’s important that you confirm that your chickens have been fully vaccinated when you purchase them to avoid future egg quality issues. Both external and internal parasites will often cause eggshell and internal quality issues. It’s pretty much the first thing that I suspect when I see pointy shaped eggs or very pale egg shells or yolks. Parasites often use the nutrition in your feed that is needed for high-quality egg production. Roundworm is the most common internal parasite while poultry lice are the common external parasite. Recently, I’ve been hearing of many cases of red mite which drink the blood from chickens and can cause anemia. It’s important to remove eggs from your nests as soon after they have been laid as possible. This is particularly important in the summer months as hot weather can cause runny egg whites and other quality issues. Place chicken eggs into your fridge as soon as possible and you have a much better chance of enjoying your breakfast. A series of days with hot temperatures can even cause a reduction in egg size and number so it’s important to keep your hens as cool as possible by providing good shade and a cool bath if needed. Also, make sure that they have plenty of clean water available and that all water containers are in the shade throughout the day. All flocks of chickens have the pecking order and it can have some negative egg quality issues if things get a little out of control. Those chickens further down the chain can often lay whiter shelled eggs with poor internal quality due to the stress that they are under. You may need to separate chickens that are bullied relentlessly by the others. Stress can also be caused in your entire flock by the presence of predators. You may not realise that a fox or feral cat has been prowling at night but this threat can cause your hens to stop laying for a time or the stress-related, white shells. So in the end, there are certainly a wide range of factors that can cause chicken egg quality issues in your hens. We’ve looked at some of the more common issues and most can be eliminated or reduced by paying attention to a few key areas. The right breed of chicken being fed a high-quality diet is your number one area to focus on for large numbers of high-grade eggs. You then need to ensure that you always purchase fully vaccinated hens and regularly deworm them along with dusting them for external parasites. Finally, keep your hens happy with a minimum of stress and you should enjoy much fresher and better-tasting chicken eggs than you will ever find in a supermarket.